We could not be more delighted to be hosting our first ever MODERN QUILT SHOW thanks to the amazing communities of gather here and the Cambridge Modern Quilt Guild. 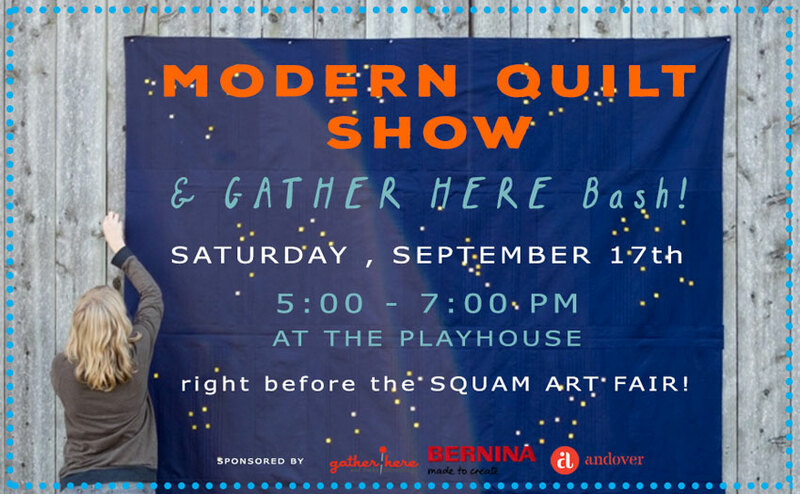 This juried show is open to ALL and scheduled so that you can connect with friends, get dazzled with inspiration by the exquisite beauty of more than 40 quilts on display, enjoy the chance to win some fabulous raffle prizes before you head on over to the SQUAM ART FAIR. This will definitely be an experiment in how much fun and beauty you can take! We do hope you will be able to join us for this fabulous event because best of all? Bernina, gather here, and Andover Fabrics. Prizes will be given for 1st, 2nd and 3rd place as well as People’s Choice and will include a Bernina Patchwork Edition sewing machine and fabric bundles. That’s right! Some lucky maker is going to go home with a BERNINA SEWING MACHINE! To RSVP to the Modern Quilt Show, please CLICK HERE. 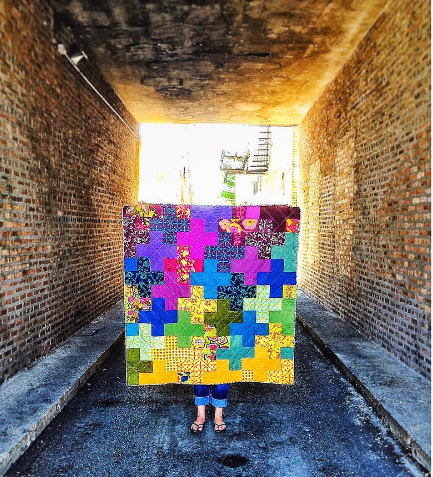 Despite our rich history of celebrating and nurturing fiber arts, this is the very first time a quilt show has been mounted during one of our gatherings! The Gather Here Bash has been designed to celebrate and connect makers. Bring your knitting, handwork, relax, hang out and enjoy connecting with other like-minded folks– catching up with old friends and making new ones. And, to make things even more festive, there will be nibbles, beer, and door prizes. 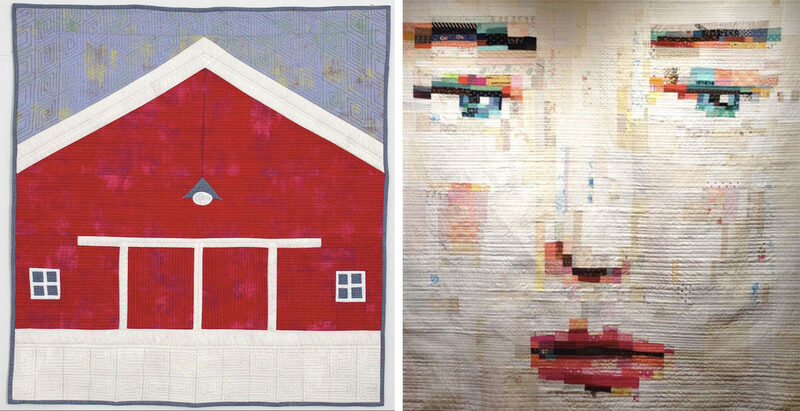 This is a juried quilt show featuring modern quilts by New England Modern Quilt Guild Members. We will accept 40 non-juried entries on a first come first served basis. If we receive more than 40 entries, there will be a wait list. To enter your quilt in the exhibit, simply head over to gather here to complete the submission form. Winning quilts will be announced on September 18, 2016. If you win, you may pick up your prize from Gather Here in Cambridge, MA after the completion of the show and upon collection of your quilt. 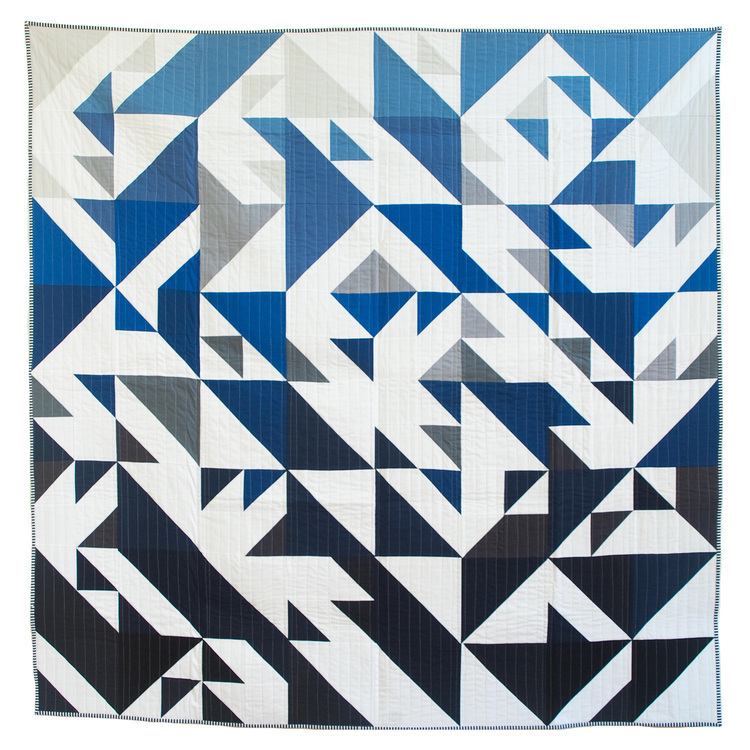 You must be a member of one of the many unique New England Modern Quilt Guilds to enter a quilt. We have reached out to Cambridge, Boston, Seacoast, New Hampshire, and Maine Modern Quilt Guilds but this does not exclude the great states of Vermont, Connecticut, or Rhode Island! Have three layers (backing, batting, and top) joined together with stitching or tying. The height must not be larger than 100″ or smaller than 48”. 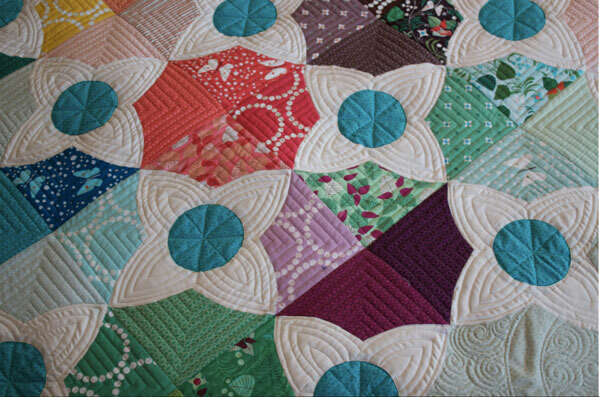 All of the people who worked on the quilt, paid or not, must be credited (excluding basting assistance). The decisions of the show organizers, jury and judges are final. A label in the lower right-hand corner on the back is required. No hanging sleeve is required. Quilts will be hung by a sophisticated binder clip method.